…And yet another soulful year has passed us by, and once again it has been another corker for new tuneage. Soul radio continues to thrill us in the comfort of our homes, and new-kids-on-the-block have certainly made an impression http://www.365soul.com with Shaun Evans and Gary Connely giving us some very fluid and consistently good shows, and with Mick O’Donnell and Mark Merry coming up trumps weekly, it has never been a better time to appreciate the new stuff, these jocks are making it very easy for us at the minute. For me the search has never slowed down and my shelves are testament to that fact! New ‘recent & decent’ scuffling for space with new vinyl acquisitions? Bilbao came and went within the blink of an eye, but Prince Phillip Mitchell will live on in the memory banks for years to come – what a performance in a venue that was akin to a mini Wigan Casino. The band were tight and he has still got that voice (not withstanding it got lost in the mix at times), great night, thank you Alex & Aitor. 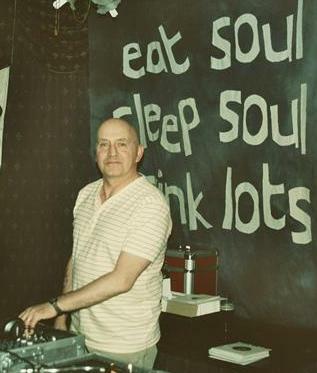 Away from the ‘Prince’, musically the weekend had something for everyone, with a very healthy dance floor both nights, the Cotton Club sessions on Saturday afternoon continue to grow in stature, wonderful music and I’m honoured to be asked to play – long may it continue. For my own part I was surprised to see some of the Brits venturing out onto the floor on Friday night throwing shapes to brand new releases, that don’t happen too often any more and it was a positive sign when the trend continued on the Saturday session too. Onto my music highlights then… Lola Gulley first surfaced in my life back in 2007 when her excellent album “Give her what she wants” was released on William Bell’s ‘Wilbe’ label, and “Look my way” still gets a play today, a wonderful free flowing dancer and in more recent times her latest set “Cleaning House” has hogged the laser flicker, initially a download only, but its beginning to surface as a proper release at the time of writing (October 2013) ignore track one which has a total nonsense rap and its then safe to drop the laser anywhere. “What goes on” is a mid-paced ballad that could have graced any Denise Lasalle album, it had me shaking my head in disbelief the first time I heard it. “It isn’t worth it” should be smashing up dance floors everywhere but the Southern tag is holding it back, rammed the floor both nights for me in Bilbao, echoes of “To much love making” in here but what a tune, what a tune. Next up is the killer ballad “I deserve better”, and as the title suggests, she’s berating her man for his lack-lustre performance and approach to their relationship… and finally “The other shoe” is classic female southern soul steeped in past glories and will have you up and at it instantly. 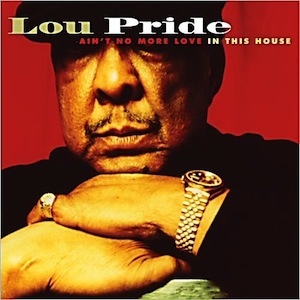 October, and along came the final album from the late Lou Pride and his “Ain’t no more love in this house” set, which smashed its way to the top of my pile. The title track and opener takes you back to a time when Soul Essence used to openly embrace new southern soul dancers chugging along on base, drums and a Hammond with sparse horns, this would have been huge, today, well, we will have to see. The album spans the Blues and Soul genre’s but soul is there in abundance, “Take it slow” is a rare groove stepper that is perfect for early doors spots or radio play. “Never” nods its head in the direction of Southern Soul’s glorious past entering my top three for the year – so classy. The rich and soulful “We can do what we want” and “Daddy don’t you walk so fast” are destined for lounge plays, “Love come got me” is another class dancer that is clearly influenced by the Royal Studio’s sound however, the big daddy on here is the crossover sounding dancer “I gotta move on up”, so in vogue at the minute, and if this doesn’t at least get some plays then we might as well pack it all in. The rest of the album has something to offer, for me it’s the complete album, how sad then that there appears to be nothing else in the can in respect of recent material from this iconic singer. Jaye Hammer also gave me a very enjoyable album in the shape of “I can lay the hammer down”. The dancer “Dig a little deeper” hit me straight away, and has cast a shadow over the remaining tracks, nevertheless a good album. One tune that refuses to be filed away is Beautiful Bobby Blackmon and his “Yeah Baby” which I dropped on the Saturday Bilbao session and once again had so many folks wanting a look and photographing the CD. Already several years old but that rolling lazy rhythm and those black southern vocals just has you moving and a grooving – a guaranteed floor packer. For many the track of the year will be Lionel Cornelius and his sumptuous head nodder “Hey Love”, which has had huge radio plays, his interview with Mick O’Donnel showed the man to be gracious and very much in the right place, and yes, he’s related to Eddie Cornelius. For more of the same go and listen to the beautiful Les Walston “You should be here with me”, slightly more urgent but so damn good. The deep soul track of the year and my undisputed number one comes from no less than Gean West & The Relatives, and the guttural desperation that is “Your love is real”, simply as stark and deep as anyone could go using just drums, bass and a Hammond and that includes the mighty Charles Bradley (and what a year he’s had). That documentary had me swallowing hard. Mr Bradley certainly deserves all the attention he’s getting at the minute. Another highlight for me was the James Hunter Six set on Daptone Records, the title track “Minute by Minute” is typical of what this throwback Jazzy Soul album throws at you, but that sixties chink-chink base line takes you to another level, James of course is well known to soulies as each of his albums has provided a track of note, released on chunky vinyl too. Well, what do you make of the sudden rise of Kani Cole’s version of “Show & Tell”? One play on Shaun’s show and bang we were off and running, such a huge response and in Bilbao, on the Saturday early slot, it had a healthy impact on the floor. The album surfaced in 1998 to virtually no acclaim at all, my good friend, the late Steve Jackson, put me onto the album and then I discovered S & T on its first play here at home. The whole album is one of those very classy jazz orientated affairs, I love her voice and “Show & Tell” does it for me. A four track gospel set surfaced by The Mighty Voices of Praise which gave me just about the sweetest gospel orientated ballad I’ve heard in a long time and has nestled comfortably at number two, “I owe my life to you” contains simple instrumentation, sweet harmonies and multiple lead’s just how it used to be. Charles Walker & The Dynamites have had a cracking eighteen months, crowned with the release on 45 of the best dancer to surface this year “Get up for love”, impossible to listen too without offering some nod or tap of the foot, smashing dance floors up and down the country since surfacing via radio plays from Mark & Mick. It’s not on either of the albums that have surfaced but Soul Brother Records have come to the rescue. Back to the live appearances, nothing could prepare me for what I witnessed at the Wilton when Debbie Taylor and a wonderful live band gave me one of the best nights I’ve ever had. Her voice was stunning, strong emotive and passionate and “I don’t want to leave you” was the finest tune I’ve ever heard sung live, lump in the throat time. WOW. Later she sat and chatted, signed records and posters and was the most humble of ladies, a real treasure. Along with Tad Robinson I’m always on the lookout for new tunes from Donnie Ray, this man possess one of the finest voices out there but all of his albums suffer from poor synthesised production, on most it sounds like Ian Levine is at the helm and as we all know in the main that ain’t a good thing at all. Well, his “Drowning in my own tears” set landed and straight then to the mid tempo dancer “Play something pretty on my radio” followed then by the mid-paced southern stroller “What about me” both really do have their moments, however its “You keep taking your love away” that’s the nugget on here, a down-tempo rolling type rhythm and some fine vocals to top it off (actually I can understand the appeal of some of the more up-tempo tunes having been sent a video of a southern soul night just outside of Texas and the reaction to his “Hideaway” track off the last album was phenomenal). An absolute must, is the Coalitions “Color me blue” album, which lay in the can from its inception in the early 70’s, with only one track not to my liking. The rest is a wonderful roller coaster of soul, the way it used to be, and its been repeatedly played here at home since its arrival. If you’re looking for comparisons try the Street People album on Vigor, any of the Delfonics or Main Ingredient albums too, yes it’s that good. It’s been a fabulous year for Soul Junction Records, and we have them to thank for this albums arrival too. Big G has released his umpteenth album titled “Special Delivery” no balladry, which is a shame, as we know this guy has a top voice but a major contender for dancer of the year is on here in the shape of “We can’t stay together”, also check out “Your loving Arms” and “The only fool” both of which are lovely mid-tempo tunes with strong vocals. 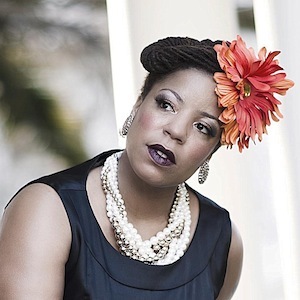 Yet another new name to me surfaced, FeFea White is a very accomplished gospel singer with a very powerful voice who has released a four track EP (obviously a showcase to something more substantial to come hopefully in 2014), “Your love is like water” is a stunning finger snapping stroller with all the right hooks which could garner some plays with the thinking man’s brigade. A sleeping giant of a reactivation for me here at home is David Avery’s “On some other earth” from his 2009 ‘Bone Dog Records’ album “Feel good for awhile”, its my most played ‘old’ track this year, really gets under the skin, stunning southern soul and then some. Another pulled from the shelves was the 1999 William Bell album ”A portrait is forever”, track 8 “I can’t leave your love alone” has been doing it for me big time, a modern soul dancer with serious class. Lomax hit us with a cracking album titled “Life’s lessons” and the opener “Baby its over” really got hammered here at home, a mid-tempo dancer that grows on you and instantly memorable too. He’s got a great voice, well written lyrics dealing with slipping around, falling in and out of love, this really is a good album. The down-tempo sax led “I’ve had my turn” is essential, and the Stax/Atlantic/Fame inspired “Second hand man” is a true modern day gem, anyway a great album, download only at the minute. Okay, I need to stop now. As I said, its been another top year and I suspect 2014 will do the same with essential new releases in January from Sharon Jones & The Dap Kings and Derobert & The Half Truths both albums are absolute must-haves, I’ve already got tracks off both projects, what a way to start 2014. Bring it on.